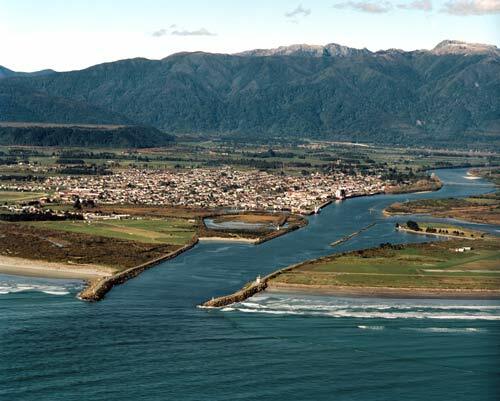 This aerial view of Westport looks south-east towards the Paparoa Range. Westport is a river port near the mouth of the Buller River. Coal from the nearby Buller coalfield was exported by sea until the 1950s, but nowadays the main industrial users of the port are fishermen, and ships carrying cement from the works at Cape Foulwind.